Shining Stone artist Paul Gabriel is an Electric Blues guitarist, Singer/Songwriter and a recording session musician. His professional career began in 1969 and has spanned forty four years as a working artist. Early in his career Paul Gabriel appeared on three albums by singer-songwriter Harry Chapin, played slide guitar on Rory Block’s Grammy nominated “Mama’s Blues”, toured with Michael Bolotin (a.k.a. Michael Bolton) and eventually formed a number of his own groups; most notably The Paul Gabriel Band and Blue In The Face.Blue In The Face recorded three highly acclaimed albums, the first receiving a four star review from DOWNBEAT Magazine. was starting to incorporate some of the influences he had obtained from listening to Duke Robillard, a major influence on him, along with T-Bone Walker and Mike Bloomfield, since the mid to late sixties. 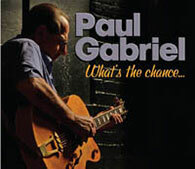 In 2001 Paul Gabriel released his first solo album entitled FATE. This album is a transition recording in the sense that it is the first release featuring Paul Gabriel as a vocalist. 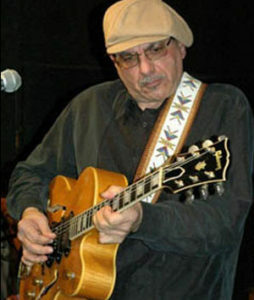 In September of 2006 Paul Gabriel and his Blues Band was formed further transforming Paul into a complete artist. In 2007 Smoke Ring Records released two new CD’s featuring Paul Gabriel as a mature songwriter, vocalist and life-long artist. During 2008 -2012 the new CD’s garnered excellent reviews world wide as Paul Gabriel continued to perform his own brand of Blues, Jazz and American Music into 2013.